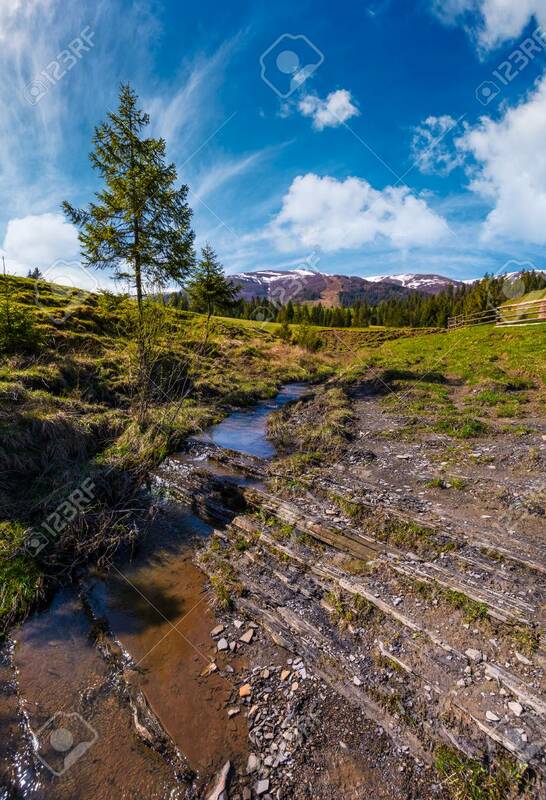 Spruce Tree And Small Brook In Mountains. Lovely Springtime Scenery.. Stock Photo, Picture And Royalty Free Image. Image 93507085.